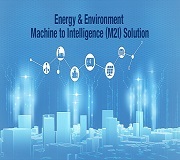 Taipei, Taiwan, July 2017 – Advantech, a leading provider of industrial computing hardware/software solutions, is pleased to announce its SRP-FPV240 series of application-oriented solution-ready platforms (SRP) for smart factory. 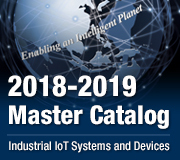 With the arrival of Industry 4.0, and the resulting trend for increased automation and data communication in manufacturing, technology solutions that can centralize management and streamline data visualization have become essential. 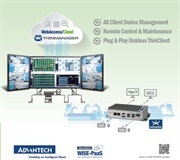 To address this need, Advantech created its SRP-FPV240 solution series based on eight thin client options equipped with ACP BIOS that fully compatible to the innovative ThinManager® software developed by Rockwell Automation(Automation Control Products before Sep.2016). Featuring a thin client-based architecture, ThinManager® is a technology that enables centralized management by seamlessly integrating with existing MES and ERP and offering a wide variety of features, tools, and methods of access that allow users to manage all server applications and monitoring sessions from a single interface. With multi-monitor, virtual screens, shadowing, session scaling, and screen tiling support, ThinManager® provides all the functions necessary to customize the presentation and visualization of data from multiple sources. 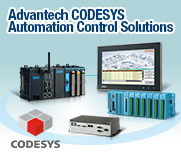 Users can customize their display view according to specific operational needs without rewriting a single line of code. ThinManager® also supports full redundancy and instant failover on the server side to ensure high availability and consistent reliability for industrial-grade automation operations. The SRP-FPV240 series is the latest of Advantech’s automation process visualization packages aimed at providing comprehensive solutions that satisfy market demands. For system integrators, SRP-FPV240 solutions provide an effective platform for building scalable data management systems and developing smart factory capabilities. This is because thin client devices do not have an embedded operating system, which means they can be automatically configured from a centralized management hub and do not require firmware updates nor become obsolete over time. 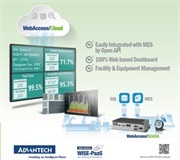 Moreover, Advantech’s SRP-FPV240 solutions support plug-and-play functionality; thus, thin clients can be interchangeably replaced and combined with existing systems to facilitate vertical integration and accelerate the realization of Industry 4.0. SRP-FPV240 series solutions provide a sustainable and scalable automation platform for boosting productivity by increasing production efficiency and minimizing system downtime through centralized management. Because applications are run on the terminal server not on thin clients, applications only need to be installed once on the server to be available to all client devices. This reduces operational complexity and facilitates more efficient management of access privileges, authentication, and security through consistent policy application. To further enhance the monitoring, overseeing, and controlling of all processes, SRP-FPV240 series solutions also supports the independent operation of MES, ERP, SCADA, and VM systems on a single client device. SRP-FPV240 series solutions paired with ThinManager® software allows secure and centralized management of all thin client devices, server processes, and data visualization sources in an automation network. Powerful visualization features, including flexible screen tiling and multi-monitor support, enable multiple sessions and displays to be viewed on a single monitor for advanced multi-tasking operations. Additionally, the display layout and content delivered to client terminals can be completely customized according to specific user profiles. For added reliability and security, SRP-FPV240 solutions pre-installed with ACP BIOS for ThinManager® support both server failover and plug-and-play functionality. The provision of server failover means that in the event of a server failure, all thin clients have the ability to switch to a backup terminal server without interruption. With plug-and-play functionality, if a thin client fails, the terminal can be easily replaced without any configuration. The new thin client simply retrieves the terminal configuration data and assumes its identity. Moreover, active sessions are retained on the server to be automatically resumed on the new client, eliminating data losses and workflow disruptions. Advantech’s SRP-FPV240 solution series comprises eight thin clients embedded with ACP BIOS software. Featuring a low-power design and compact form factor, these industrial-grade thin clients can be flexibly installed in environments with limited space. Additionally, because SRP-FPV240 thin clients are diskless, they are less susceptible to damage from dust or vibration, resulting in minimal maintenance and reduced system downtime. Every SRP-FPV240 thin client offers unrivaled performance for a variety of industrial automation and smart factory applications. The multi-display thin client models (SRP-FPV240-AE / SRP-FPV240-02 / SRP-FPV241-AE) support multiple display outputs and video interfaces (VGA/ HDMI/ Display Port) as well as Full HD and ultra HD (4K) resolutions, providing high-value hardware solutions for diverse display applications. Meanwhile, the SRP-FPV240-03 thin client multi-touch panel model with 21.5” Full HD display is IP69K rated for protection from high pressure/temperature spray down and dust ingress, making it ideal for deployment in the food and beverage, pharmaceutical, and chemical manufacturing industries.